Skin tags, also called acrochordons, are little pieces of skin that stick out from the surface of the skin. Usually found on the neck, the underarms, under the breasts and in folds of skin in the groin or belly, these common skin growths are often the result of clothing rubbing against the skin. Most skin tags are acquired, although some people are born with them. Skin tags typically occur in people over the age of 40 and those who are overweight or have diabetes. They are also more common in women than men. While skin tags are not cancerous, many people nevertheless choose to have these painless growths removed for precautionary or cosmetic purposes. Patients are often bothered by them due to itching and sometimes even bleeding, since they can get caught in zippers, clothes, or necklaces and jewelry. Their removal is an easy, common procedure often done daily in our office. Occasionally, the skin tag will fall off on its own. More likely, though, it will remain where it is unless you decide to have it removed. 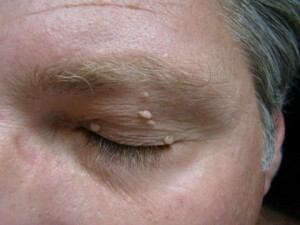 If the skin tag is taken off, it is rare to experience regrowth. However, you may very well develop new skin tags nearby or on other areas of the body. There are several different ways to effectively remove skin tags, including freezing, burning and removing with scissors. Small tags may be removed without the use of anesthesia, while larger ones may require a local anesthetic. These treatments are usually effective in removing the growth, but may cause temporary skin discoloration or bleeding. 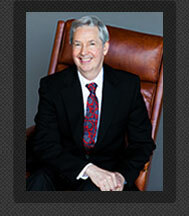 Dr. Kaminester will help you decide which treatment option is best for you.